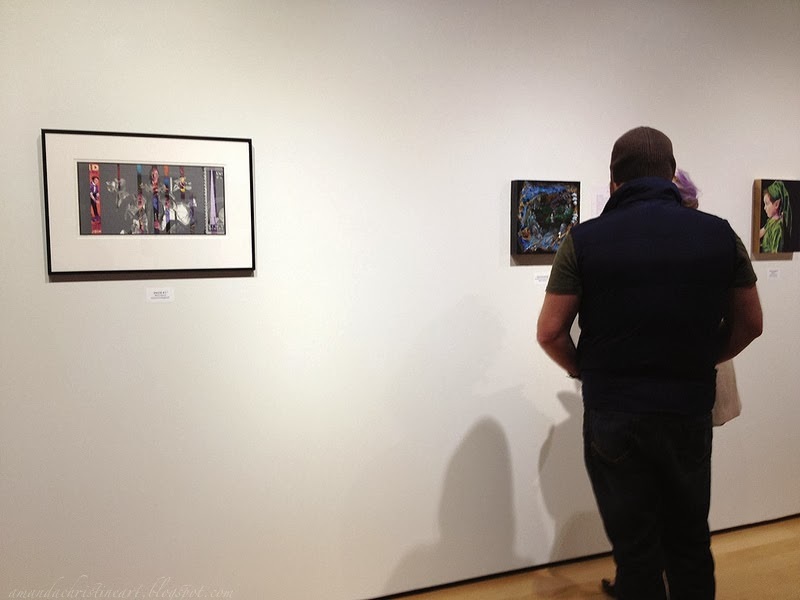 Images and Goodies from Recent Art Shows! Hey friends and lookers and lurkers! I hope everyone who is local enjoyed our recent snow day and everyone in my immediate city made it to vote today. Facebook Page. I don't do special or discount sales very often (I like to keep my prices as low as materials/overhead will allow and i don't really like making people just wait until another sale to get something at the best i can offer) but we will be moving within the year and some of my collectors do like to frame pieces on their own, so I am giving a special savings for these unframed pieces. You can check it out for updates and to purchase as soon as they are posted, and I will also be posting a comprehensive list here in a few days. Here are some pics from the recent art shows and weekend. 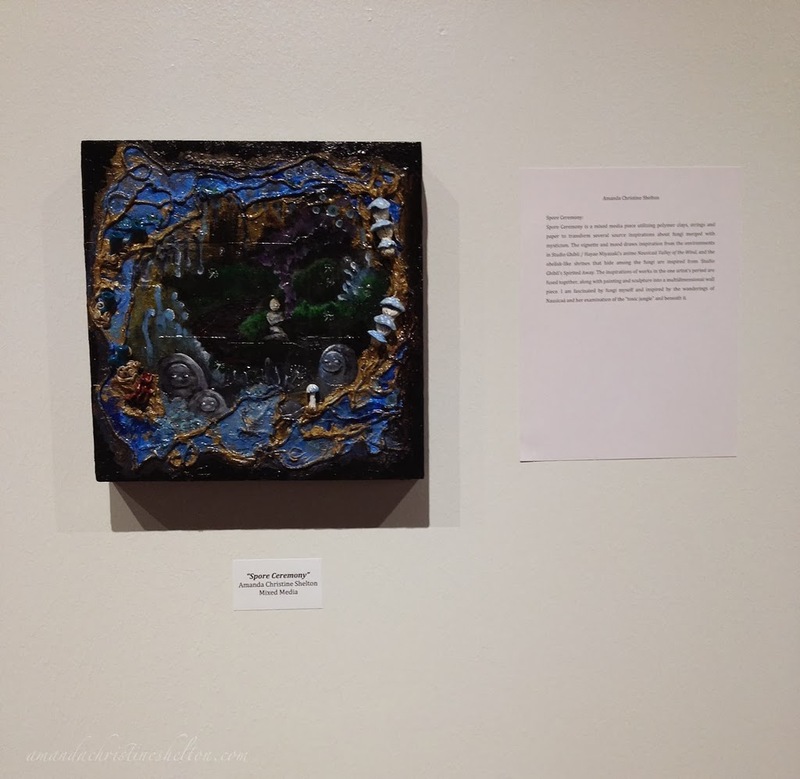 My piece Spore Ceremony (mixed media, 2014) on the wall. My piece Spore Ceremony takes a lot ofinspiration from the "toxic jungle" of 'Nausicaa Valley of the Wind' and the shrines in Spirited Awayand prevalent in Japanese culture/mythology. In Nausicaa, the "toxic jungle" was full of fungi that released spores into the atmosphere but... also made clean water... so toxic was a misnomer. The narrative of fungi as pollution control is also something that is not entirely fictional, and that aspect appealed to me. For a blog post on this piece, check out this link. At Get Your Geek On: Celebrating Art in Anime, Comic Books, and Video Games, we caught the last part of the opening reception and the music was amazing. I love hearing the scores from the Studio Ghibli movies on keyboards/pianos... and they had an interactive part of the exhibit and some great examples of fantasy illustration as they apply to gaming and comic art industries being projected on the wall... There are many illustrators in fantasy, comics and games from our state- even horror novelists- but they do not always socialize in the same fine art circles and "scenes" so they don't have the name recognition but you will definitely notice them if you see their work or spot them at a fair or convention! Friday night we had the great fate of checking out the Pollard Theatre in Guthrie for the opening night of The Miracle Worker. I have my art in the lobby over there and am so grateful we had a chance to see the play as well, my mother and husband were in attendance and mom and I love live theatre in all its forms... and... my husband had NEVER seen a professional or community theatre performance before... only school related stuff! We ate at this great BBQ place called the Boneyard... it was very busy but we mentioned we had theatre tickets across they street and they said "just don't order a well done steak!" and we had tipped our waitress and were getting our programs in plenty of time! 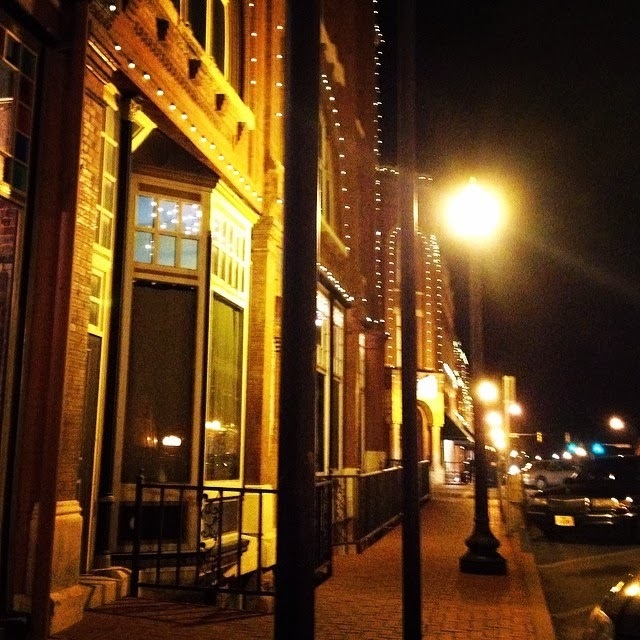 Historic Downtown Guthrie. sorry for the grain- this is from my phone! Now I had seen The Miracle Worker as a film before, and done scenes of it in school drama classes, but as soon as I saw the two-tiered vertical set when I showed up to install work I knew this would be a good production. They cast had a lot of challenging transitions to make and they were spot-on... and the leads! 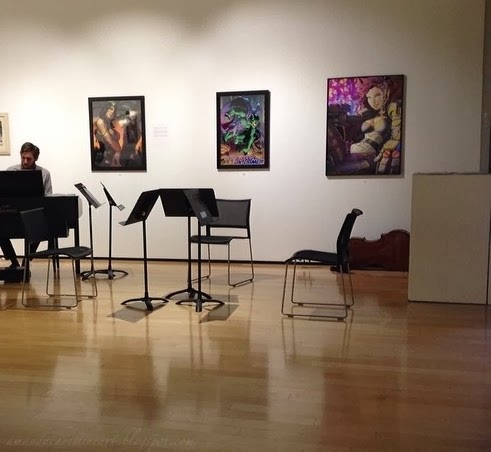 It is amazing the talent that lurks in the humblest corners of the country, and how wonderful that we have these theaters, galleries, programs, and the support of the Arts Council and sponsors giving our talent a voice for expression. The Get Your Geek On show will run in the Melton Gallery on the UCO campus in Edmond until March 27, and you can see my paintings displayed at the Pollard Theatre in Guthrie until March 15. For more check out my website or for special sale paintings (for a limited time) be sure and visit me on Facebook.